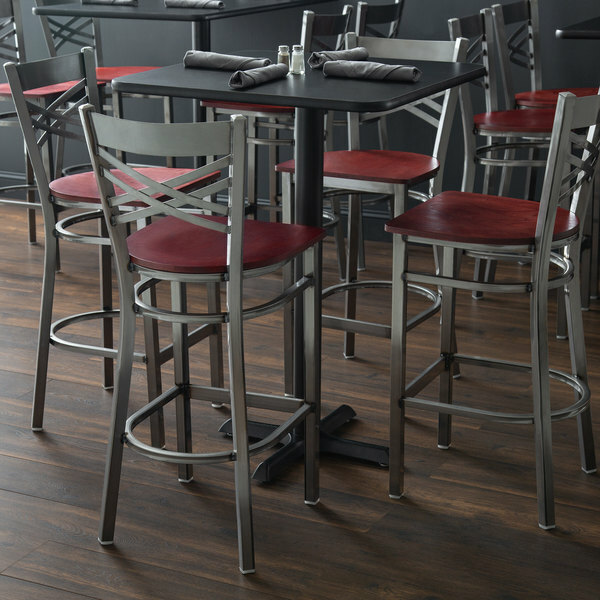 For an edgy addition to your bar, restaurant, brewery, or tasting room, turn to this Lancaster Table & Seating clear coat steel cross back bar height chair! 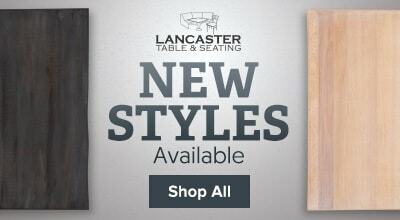 Featuring a durable plywood seat with a versatile mahogany finish, combined with a contemporary steel frame and trendy cross back design, this Lancaster Table & Seating clear coat steel cross back bar height chair instills a modern look in any location. 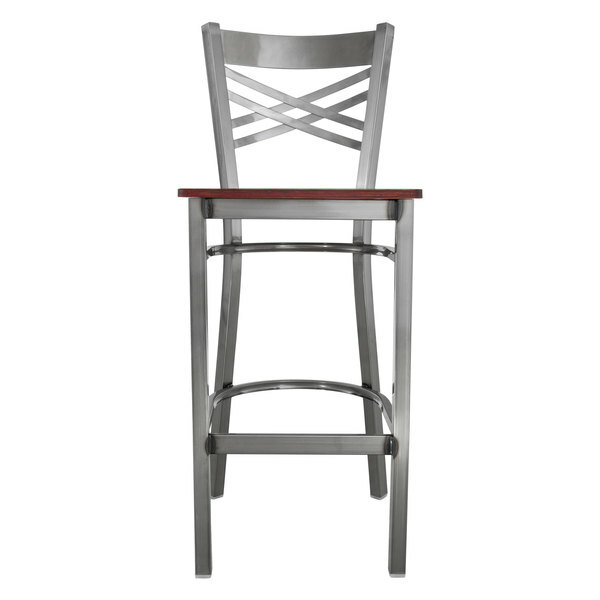 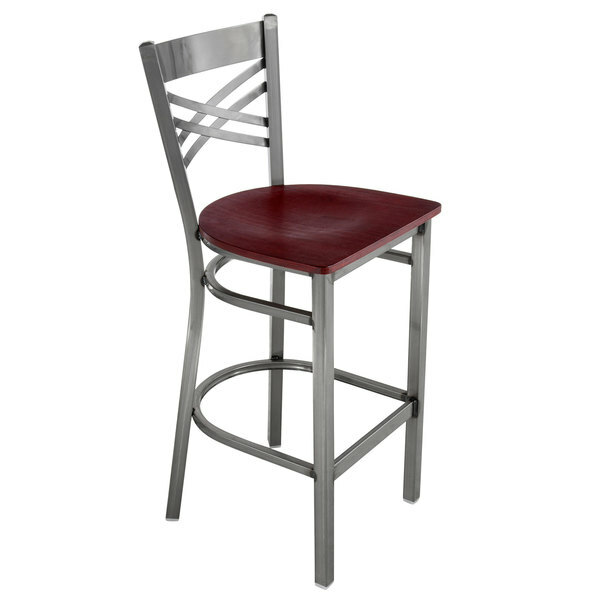 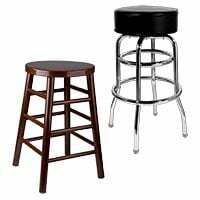 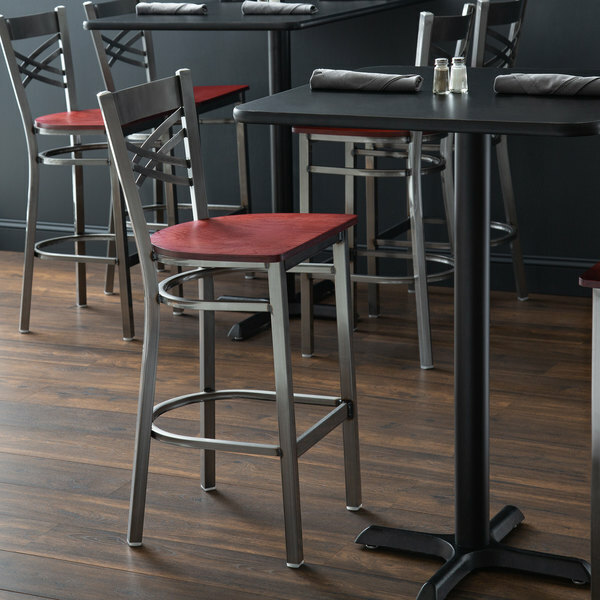 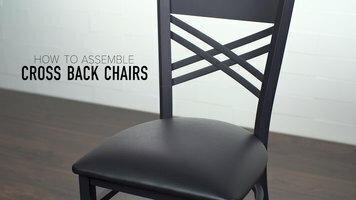 It's perfect for both bar and raised table seating, and, since the chair's back is contoured for a customer's back, it will provide unmatched comfort while maintaining a distinct appearance. 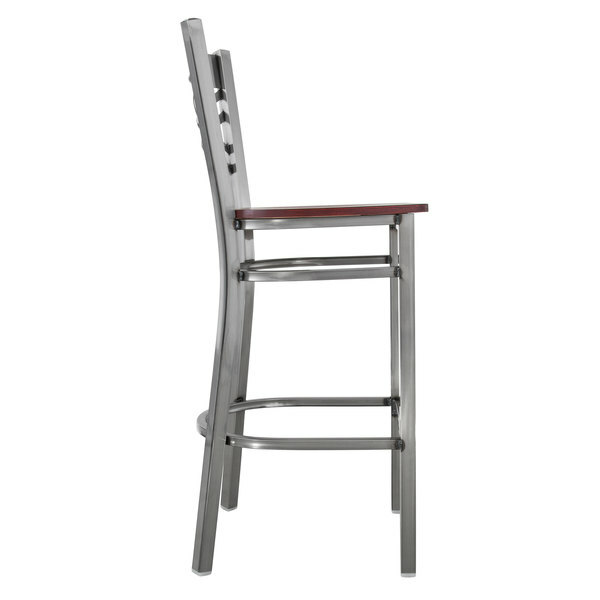 This chair weighs less than 18 lb., making setup and cleanup quick and easy.